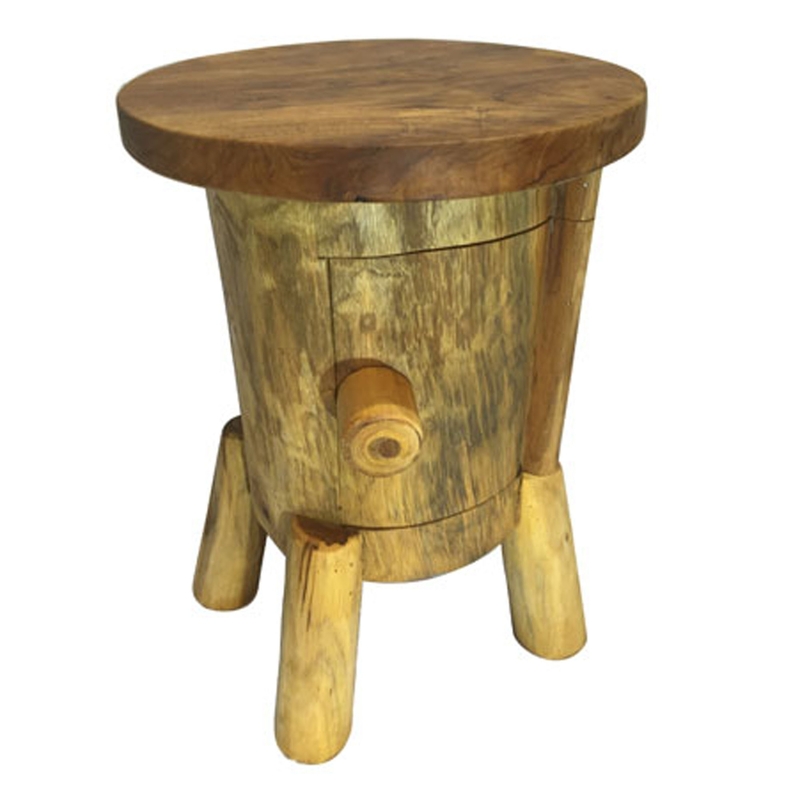 Make your home feel a lot more original and stylish by introducing this fantastic Teak Root Side Table Round With Door. This piece contains a round side table, held up by legs. This side table also includes a door, making it a very practical piece as well as a stylish one. This piece is created from teak root.